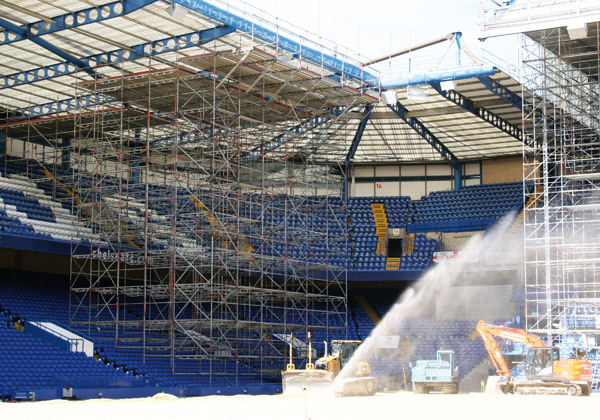 Given the football theme for our Play it Safe campaign it seemed fitting that TRAD were successful in securing the scaffolding package for the new lighting systems around the roof at Stamford Bridge. 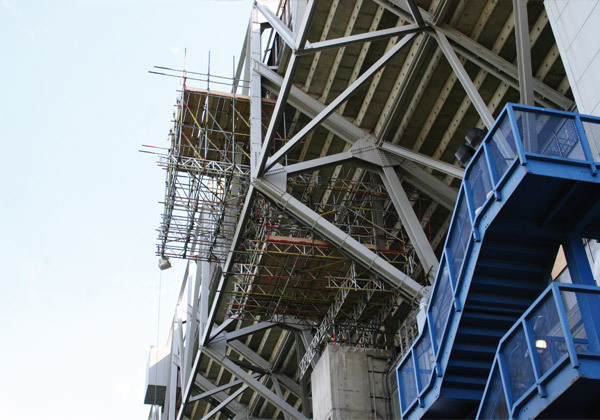 With difficult access into the ground and under seven weeks to erect over 28,000 cubic metres we opted for a system scaffold to meet this tight programme. 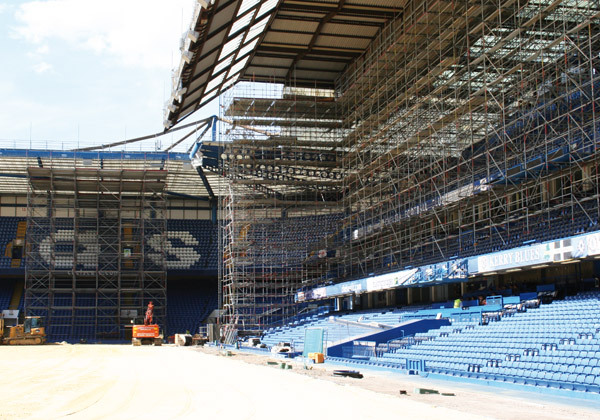 We were also asked to provide some cantilever scaffolds at high level to access the roof edge on the East Stand which required extensive planning with regard to the safe system of work. We thank our workforce for their diligence in completing this prestigious project.